Clients can avail from us an excellent quality Pollution Control Unit which is applied to control, manage and filter the emission of pollutants into the atmosphere. The offered equipment is completely able of cleansing the air and abolishing a variety of unnecessary elements and impurities suspended in the air. 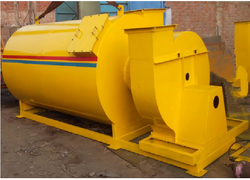 This equipment is manufactured with the utilization of quality tested raw material and sophisticated techniques keeping in mind the specific application requirements of the clients. Looking for Pollution Control Unit ?